Retired vet Keith Mason BVMS, more commonly seen stewarding at Ayr and Hamilton races, has been appointed Chairman of the Equine Grass Sickness Fund (EGSF). Keith spent much of his career as Senior Veterinary Surgeon for the Hong Kong Jockey Club and was instrumental in founding their veterinary department at the beginning of the professional racing era, helping bring the first ever UK bred racehorses to Hong Kong. Closer to home Keith was also heavily involved in setting up the Weipers Equine Centre project at Glasgow University. Keith was invited to join the EGSF Committee by the late Sir John Gilmour, who sought Keith’s breadth of experience and strategic expertise to help the Fund meet the challenge of raising the funds to conduct a nationwide vaccine field trial for the control of grass sickness. If successful this project will mark a historic turning point in the prevention of this disease, and perhaps make one of the most significant breakthroughs in equine veterinary medicine of our times. Keith succeeds Sir John Gilmour, who sadly and unexpectedly passed away in February 2013. Kate Thomson, spokesperson for the Fund said ‘We are absolutely delighted to welcome our new Chairman. 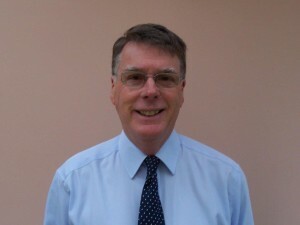 Keith is a great addition to our team, and we are sure will lead us to a successful conclusion of the vaccine trial’.